One of my main goals/resolutions this year (other than successfully getting my toddler to eat his veggies) is to save money. And I’m definitely not the only one. In fact, 6% MORE people this year have said they want to save money as their New Year’s resolution (source). 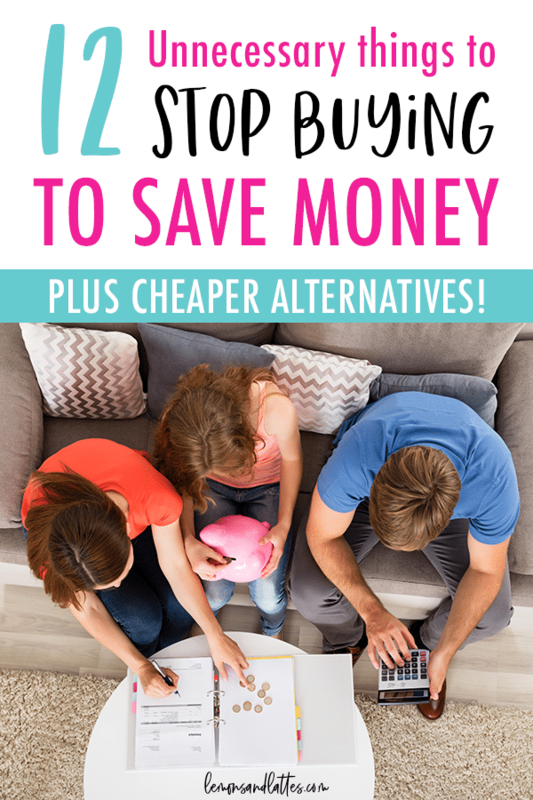 If there’s a surefire way to save money– It’s to find cheaper alternatives and stop buying things you don’t really need. That air freshener that’s making your home smell like a pumpkin spice latte? There’s a good chance it contains some less-than-healthy ingredients (more info on the chemicals found in air fresheners can be found here). Not only that, the refills and replacements can really add up over time. Go to the source of the smell – Take out the garbage, clean your house if it’s messy, tackle the pile of dirty socks, etc. Open a window – Nothing smells better than fresh air. Toss a charcoal air-purifying bag into your stinky closets and car – These last up to two years! Diffuse some kid-safe essential oils – These will last forever because you only need a drop or two. Make some fresh herbal tea – My Tazo Green Tea smells amazing! Dryer sheets and fabric softeners may help make your clothes feel softer and reduce static, but they also fatten your laundry bill. Plus, like air fresheners, they also contain some questionable ingredients. Instead, why not try some wool dryer balls? These are non-toxic and chemical-free. They’ll also help reduce drying time + keep your family’s clothes softer and wrinkle-free. Is it really worth it to pay $30+ for endless advertisements? For us, it really wasn’t. We gave up cable a while ago and now we only pay for Netflix instead of cable. If there’s a movie we really want to see, we’ll rent it (or sometimes buy, depending on what it is) on Google Play. Aside from Netflix, you still have options! If you sign up for an Amazon Prime account, you’ll save money on fast shipping and gain access to Prime Video. I don’t know too many busy moms that aren’t powered by coffee. And a lot of the time, that means grabbing one from your local Starbucks or Mcdonald’s instead of making it yourself at home. While those are SO delicious, you’ll save money simply by making your own and getting yourself a decent travel mug. The trick to keeping your morning stress-free while still making your own coffee (and saving boatloads of money) is to prep everything the night before. I do this most nights as part of my evening routine so that my morning coffee is as simple as pressing a button and pouring it into my mug. Convenience foods are ready to eat meals like canned soup, frozen meals, and even those pretty fruit trays. Not only do they usually end up costing more, they’re typically full of sodium and preservatives. If you’re trying to lower your grocery bill, you’ll save money by planning ahead of time, cooking at home, and skipping the “easy” stuff (that’s not that tasty or filling anyways). In addition to convenience foods at the grocery store, skipping the fast food is also a HUGE money saver. The typical fast food meal for one person costs anywhere from $5-$10+ right? If you eat out 5x per week, you’re spending an extra $25-50 per person! If you’re hitting up the fast food line because you feel like you have no time or energy to cook at the end of the day, try taking one day per month to prep your dinners ahead of time. If you actually use your membership– cool! That’s great. But if you have a gym membership you never use, you’re literally just blowing money each month for no reason. BeachBody on Demand – Basically the Netflix on of home workouts and it’s cheaper than a gym membership. 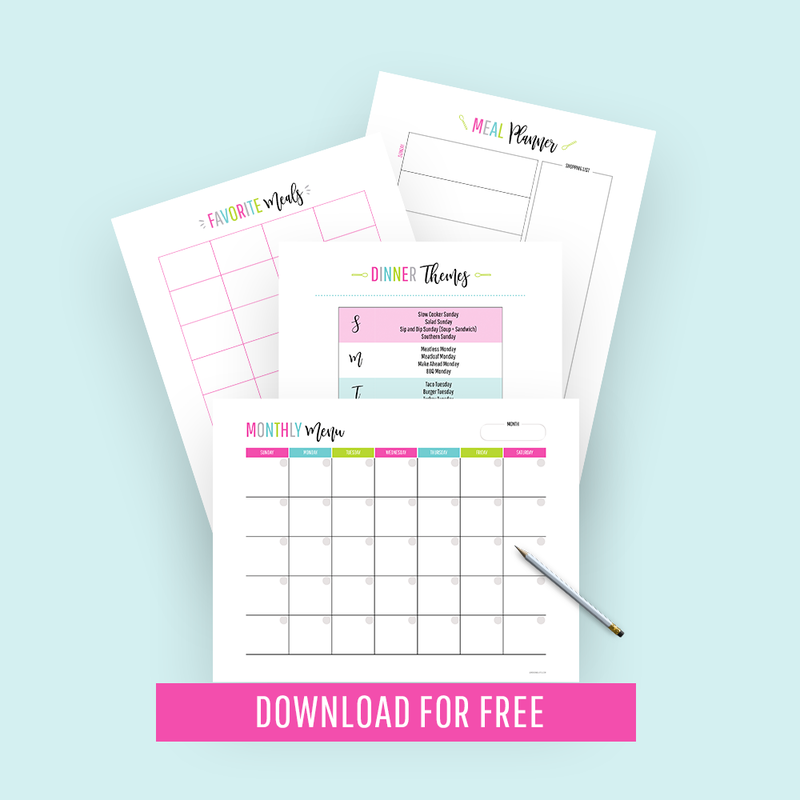 Try it free for 14 days here! Use an activity tracker to set daily step goals and track your progress – It’s a one-time purchase instead of an ongoing membership. One thing I have personally stopped spending money on is expensive skincare products. I have spent a fair share on acne products that never worked very well. Other than a daily moisturizer, I’ve found that my skin looks best when I’m drinking enough water, eating healthy, and getting in plenty of vitamin C.
You’ll almost always pay more for the individual serving sizes. So, instead of buying the oatmeal packets that are loaded with added sugars, you can buy a bigger container and spice them up yourself. It’s for the same for the individual baked potatoes, single serve steamer bags of veggies, etc. You’ll save money by buying the bigger size and portioning it out yourself. I know how fast dishes pile up– trust me! But not only are disposable plates, forks, spoons, etc. terrible for your pocketbook, they’re terrible for the environment as well. It’s worth it to spend the few extra minutes at night loading the dishwasher and tidying up! Just because something is on the clearance shelf and appears to be a good deal doesn’t necessarily mean it’s something you need to buy. Buying things you don’t really need and won’t use only creates clutter in your home. It’s really easy to rack up an iTunes bill. A favorite song here and there may not seem like it adds up, but it does. Instead of buying songs on iTunes, I use the free version of Pandora. I love that you can do replays now– All you have to do is listen to an ad for a few seconds. You can also create playlists of your favorite songs on YouTube for free. 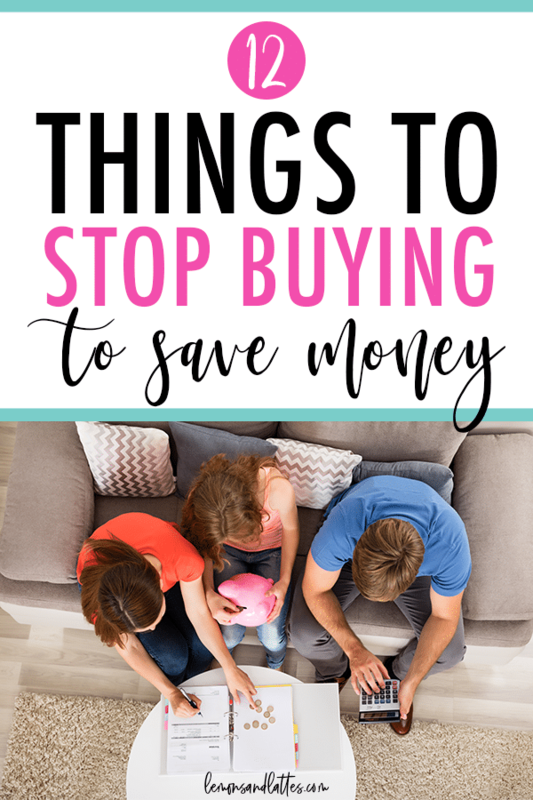 That’s my top list of things to stop buying to save money! What things have you stopped buying that’s helped you save more?